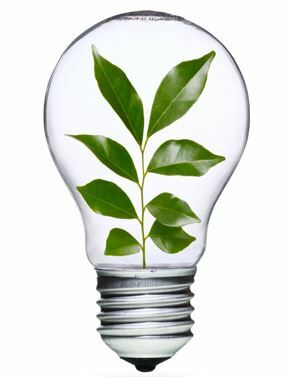 It doesn’t take much to realize that energy efficiency is a growing sector in today’s economy. A simple look at the number of products and services available to help us all be more energy efficient shows that there is a green market out there – and it’s growing. But it always helps to have data to back up an idea. Which is why the Rexel Foundation – a charitable initiative founded by the Rexel Group – undertook an energy efficiency study to see what the actual numbers are when it comes to energy efficiency in the United States. What they found is proof that Americans are serious about energy efficiency – and it shows no signs of slowing down. Published just this month, the study found that over the last five years, 75% of US consumers have taken steps to improve the energy efficiency in their homes. On top of this, 70% of Americans plan to make energy efficiency improvements to their homes in the near future, and a whopping 93% said that they believe energy efficiency products help reduce their energy bills. Electrical contractors report seeing the same trends – 97% reported that they’ve noticed an increased awareness about energy consumption amongst their clients. Contractors also said that their clients are more knowledgeable about energy efficient products and solutions, and that they’re more aware of the effects of energy consumption on the environment. However, the study did reveal that there are several obstacles standing in the way of consumers when it comes to energy efficiency. For 59% of respondents, cost and financial considerations hold them back from pursuing energy efficient solutions in their homes. Renters also often reported that making such improvements wasn’t worth the investment for them. The fact that 70% of respondents plan to make energy efficiency improvements to their homes over the next five years demonstrates enormous potential for the energy efficiency industry. The most popular improvements included LED lighting, home insulation, occupancy sensors and energy efficient heating and air conditioning systems. And there’s no doubt this trend will continue, with over 80% of respondents agreeing that if nothing is done to improve energy efficiency, energy costs will continue to rise, political tensions will increase as America relies more and more on foreign sources of energy, and more and more people could fall into fuel poverty. The Rexel Study proves that Americans are serious about energy efficiency, and that the trend toward greener homes continues to grow. This is good news for consumers who want to lower their energy bills, for the energy efficiency industry, and for the environment. Are YOU Serious About Energy Efficiency? If you're serious about energy efficiency in your home, contact your local Building Energy Pros affiliate. Call Building Energy Pros at 1-800-309-6006 for more information, or visit www.buildingenergypros.com.